Do you sun gaze or at least connect to the early morning sun as a daily practice? Are you aware of the incredible mental, physical, emotional and spiritual benefits of such a daily ritual? While many of us know about high-performers morning habits such as making their bed, planning their day and exercising, connecting with early morning sunlight is not so well know. As understood by most ancient cultures, the master regulator of all our internal health and performance cycles is the cycle of the sun. Most advanced traditional cultures throughout time have started their day greeting the sun through an ancient ritual called ‘sun gazing’. (Others, as in India along the Ganges river, do things like Yoga 'sun salutes' while facing East as the sun rises). * A key benefit is in assisting optimal sleep at night ... as our sleep cycle regulation starts first thing in the morning! Now, while the ancients understood that the sun will not harm the human eye in the first 45 minutes of sunrise ... the first 10 degrees of arc, you don't necessarily have to look directly at the sun - 'sun gaze'. (If you do, this should strictly only be done in the first 30-45 minutes of sunrise and for very short periods - seconds - to begin with.) However, even indirect sunlight through the eyes will bring significant benefits. The main thing is to actively get outside for at least a few minutes early morning to sync your physiology with our planets No.1 source of life-energy, vitality and positivity. And if you can combine exercise, earthing (see my blog)) &/or connection with others at the same time, all power to you. The sun (Surya), often maligned in our modern world was traditionally understood and indeed honoured for being the central to all life and every aspect of human health. We just need to respect it and connect with it in the right way ... not too much but also not too little. 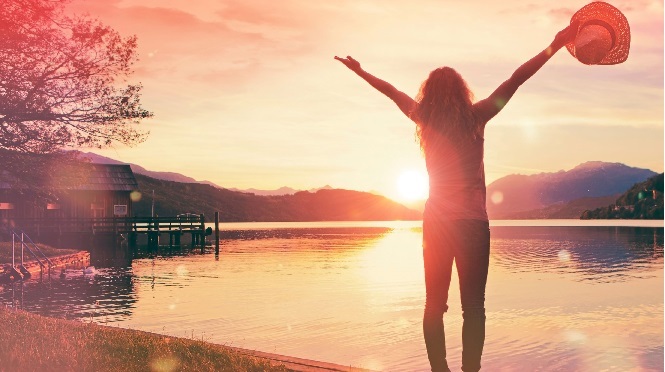 The importance of early morning sunlight exposure for optimal #health and #workperformance #wellbeing Do you make a daily practice of connecting with the sun or at least getting outside in the early-morning? What do you do and what difference does it make to your life and your work performance? I'm sure others would love to hear your inspiration. Research shows that those who consistently perform at high levels commonly do things as daily practices or rituals that other don’t. Here’s a few. High performers intrinsically understand that our optimum human performance clock is synced to the cycles of Mother Nature. As understood by the ancients, the master regulator of all our internal health and optimal performance cycles is the cycle of the sun. Traditional cultures throughout history have started their day greeting the sun through an ancient ritual called ‘sun gazing’. Hgh performers make sure they get outside (out of their artificially lit homes and office places) to experience the mental, physical, and spiritual benefits of morning sunlight through the eyes. uplifting mood (anti-depressant) and strengthening emotional health. What do Hugh Jackman, Oprah Winfrey, Tim Ferriss, Katy Perry, Ray Dalio (Head of the world’s largest hedge fund), Ariana Huffington, Jerry Seinfeld, Ellen Degeneres and countless other world class performers have in common? They start their day with 20 minutes of TM or Transcendental Meditation (other high performers use other forms of meditation). 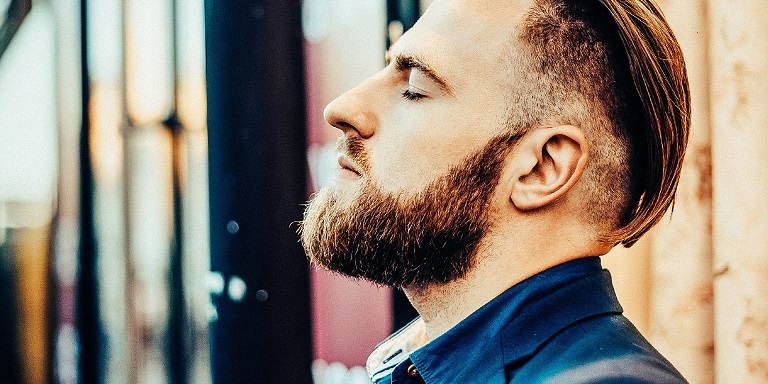 According to Tim Ferriss, author of New York Times Best-seller ‘Tools of Titans’, meditation is by far the most common habit or daily ritual amongst the world’s highest performing individuals. Don’t have time to meditate? Almost universally everyone who meditates, specifically transcending-based meditation like TM, remarks that they get far more done when they meditate and couldn’t imagine life or work without it. We can’t build a 100 storey skyscraper without first digging deep into the ground. Likewise, we can’t sustain high level, dynamic outward activity without first (and regularly) going within and enlivening our deepest (inner) source of energy, creativity and intelligence. Transcending does this which is why such a high percentage of high performers do it as their most important daily habit. As the latest neuroscience and brain mapping research clearly demonstrates, such meditation produces more global brainwave activity and peak brain coherence. Do less achieve more. Another hallmark of high achievers is that a very high percentage start their day with physical activity. 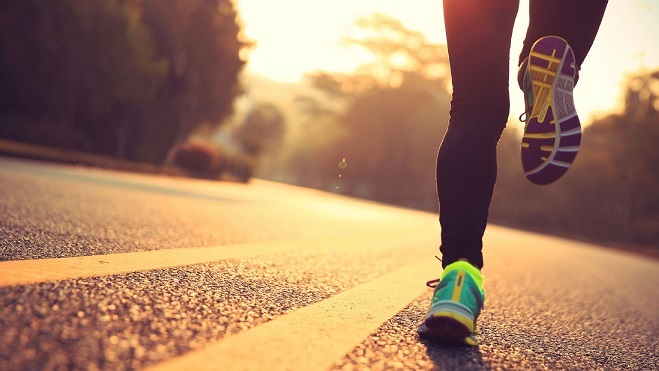 Research shows that those that make a habit of exercising early morning have a compliance rate of 75%. Those who leave it until later in the day (after work) have a compliance of around 25%. * Richard Branson has been quoted as saying daily exercise gives him 4 hours of improved productivity. Connect to the morning sun, transcend to develop your most precious resource – consciousness - and get your body moving early to help maximize your work and life success. * These are just three of the practices discussed in Mark’s highly popular ‘Daily Habits of High Achievers’. Great fun doing a Podcast with my great mate and fellow Natural health brother Luke McLean for his 'Conscious Conversations'. We discussed everything from my transition from AFL football to combining Western and Eastern Science, Earthing, practical health wisdom for busy people, Transcendental Meditation (TM) even my David Lynch Foundation work and lots of other great stuff. Luke has a fabulous style and such a pure heart. Loved it and hope you enjoy. Did you scrape your tongue this morning? Have you been to buy a toothbrush lately, and noticed many companies marketing a tongue cleaner on the back of their brushes? Promoted as a way to rid yourself of bacteria that accumulates on the surface of your tongue, they actually have a lot of merit. Charcoal Water: The Latest Fad … Is it Healthy or Harmful? Heard about charcoal water yet? It’s one of the big health items – detox drinks - for 2017. This simple tip (written here for winter, but applicable to some degree year round) is one of the simplest, yet most profound things you can do to protect yourself from getting sick (colds & flu's etc), to prevent that 'heavy/depressed' winter feeling & helping avoid those extra kilograms that always seem to enjoy making themselves at home at this time of year. Just wondering if I can ask you a question regarding Gluten…is it really that bad for you? Do our bodies find it hard to digest gluten even if you are not gluten intolerant? So in that case, is it best to avoid? The Paleo Diet (and other similar ones) and the general Paleo philosophy is great in terms of focusing us back on ‘real’ food (eliminating processed/junk food), minimising or avoiding alcohol, caffeine and sugar, as well as for promoting good exercise. However, according to ancient, time-tested health sciences such as Ayurveda, the heavy emphasis on meat, and completely avoiding grains, dairy, and legumes is not ideal. It’s the ignorant way we consume these foods in our modern world, not the foods themselves, that is harmful. Consume them as they were designed and we can get all the benefits of the Paleo diet, plus even more benefits. Ayurveda comes from the ancient Vedic tradition of India1, where it has been practised for more than 6,000 years. It is recognised by the World Health Organisation as the world’s oldest continuous system of Natural health-care. In its sanskrit roots, ‘veda’, means ‘pure knowledge’ or science, and ‘ayus’ means ‘life’. So Ayurveda is understood as ‘the total knowledge or science of life’. Ayurveda is both a time-tested science, having a recorded history of thousands of years as well as containing a history of highly evolved, healthy and long-lived individuals. I have been doing a lot of your recommendations :-). I have a question, I have very week bones by the look of things, as I sneezed a couple of days ago and fractured my ribs. Do you have any bone strengthening tips ? I am 42 this year and to young to be breaking bones from sneezing. Hi everyone – I don’t say this often but this is one of the most important and exciting blogs I’ve written for a long time. Imagine if there was a completely ‘natural’ (and generally ‘free’) way to get one of the world’s most powerful anti-inflammatory and anti-aging medicines, which evidence is starting to suggest may help everything from heart disease, stroke, cancer, diabetes, arthritis and joint pain, insomnia, auto-immune diseases, to athletic performance. Now imagine it was ‘right under your feet’! Guess what? It literally is, and now you get it under your feet while indoors! I am wondering if you could suggest something to kick start my metabolism. I am a 40 year old overweight woman working 16 hour days and looking after 4 boys (this includes my husband). I have been a yoyo dieter since I was 14 years old have always lost the weight and have always gained it again. I have recently given up my ever loved ciggies but can’t help with the weight. I’ve touched on this here and there over the years, but as it’s finally getting a lot more recognition in the mainstream media just now, I thought to mention it again. Basically, it’s about the absolute myth that substituting ‘polyunsaturated fats for saturated fats’ is good for us. You may be aware that many years ago scientists and food manufacturers started promoting the benefits of polyunsaturated fats (think vegetable oils in most processed foods, margarine, and the like) in the belief that saturated fats (butter, coconut oil etc) were bad for us, particularly our heart health. Today, food companies, many doctors and even some dieticians commonly recommend us to eat supposedly healthy margarine instead of evil butter. But should we listen to them?